Bring up the word “AI” and people think of science fiction, of extraordinary near-magical feats of advanced data processing. But some of the most remarkable displays of AI power in marketing and business operations are involved in doing seemingly mundane things. An example came up recently when using Treasure Data to analyze customer data in Salesforce. When we humans read a list of job titles, we have no problem understanding that “Vice President of Product Marketing,” “VP Pct. Mktg.” and “Prod. Mkt VP” are the same. But if we want these different phrases to be treated the same by a computer, we first have to do a process called normalization. This turns out to be an extremely challenging real-world example of using Treasure Machine Learning (ML) to great result. Let’s take a look at how it works. Handling this text information is not trivial for AI. Thankfully, we have a powerful tool to help us out: Treasure Machine Learning. AI solves a wide variety of real-world problems, but there’s often a lot of tedious preprocessing that needs to be done first. Treasure Data provides a slew of end-to-end solution templates that take the sting out of gathering and preprocessing your data so you can get to the fun stuff, fast. Since data is continuously generated as time passes, AI-based analytic systems need to be automated. This is another great strength of Treasure Data: Treasure Workflow, our state-of-the-art data automation system, enables you to easily create and schedule end-to-end data processing flow from preprocessing to prediction. Let’s unpack step #3 and find out how we transformed those unhandy job titles. Fortunately, the number of possible categories is limited. That means we can readily incorporate the title categories into further analysis. In order to map job titles to the categories, our workflow undergoes two sub-steps. Once the title-category mapping table has been created, for new contacts, our workflow tries to estimate the category of their title. This step compares the difference of texts based on a well-know scientific technique called Levenshtein distance (isn’t that fun to say?). All of this is made possible because Treasure Workflow and Treasure Machine Learning services have the capability to transform complex human-generated data into simple, easy-to-understand AI-friendly format. If you are interested in the technical details of this article or AI-based real-world data analysis, or if you are interested in collaborating to improve and utilize our SFDC analytic system, please give us a shout! 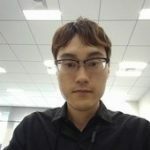 Takuya is a Data Science Engineer who works on Research and Development at Treasure Data.